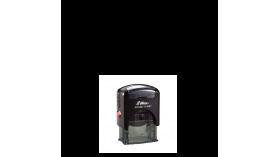 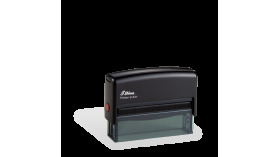 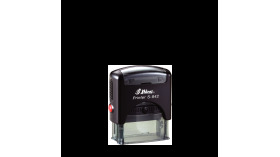 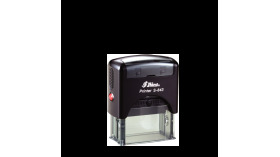 Shiny self-inking stamps. 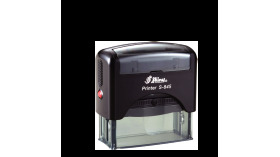 Excelent quality and reliability. 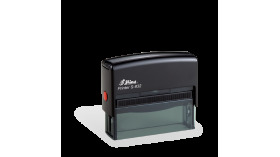 Shiny Printer S-843 Plate Size: 3/4" x 1-7/8"
Shiny PREMIUM Printer S-1824 Max. 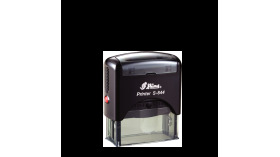 print size: 7/8" x 2-3/8"